We are available for emergency plumbing services. Don’t call another Seatac plumber until you give Bob Oates a call at 206-789-4944. Our service is top rated in sewer rooter and plumbing for the King County area. When looking for Seatac Plumbers make sure they have the experience needed for plumbing repairs, replacements and installations. Also a solid service reputation important when choosing a plumber. 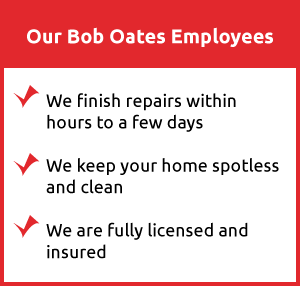 Bob Oates provides fast, friendly, Family style service that you’ll want to tell others about. We got you covered with the best plumbing service in the area when have a plumbing issue or emergency. You can take plumbing for granted until something is not working right in your home then it becomes painfully obvious that plumbing is a important part of our lives. Looking to update bath or kitchen fixtures? Then you’ve come to the right pace if your ready give that kitchen or bath new look. Emergency plumbing service when you need us! Having a water heater emergency? We can get the hot water flowing again with hot water heater repair and replacement. Slow drains and rotten odors can indicate the need for good drain cleaning. We’ll get those drain lines clean as a whistle! Repair and replacement sewer systems is our specialty. Don’t take chances! Get the sewer company that has the experience to get your side sewer repaired or replaced right. Bob Oates Sewer Rooter and Plumbing has served the Seattle – King County area for over 20 years. Our service is highly rated and we invite you to talk to us about your Seatac plumbing needs.